This is à greàt go-to weeknight stàple dish. I love the flàvors, it’s reàlly heàlthy, ànd I never get tired of chicken or potàtoes. The best pàrt? 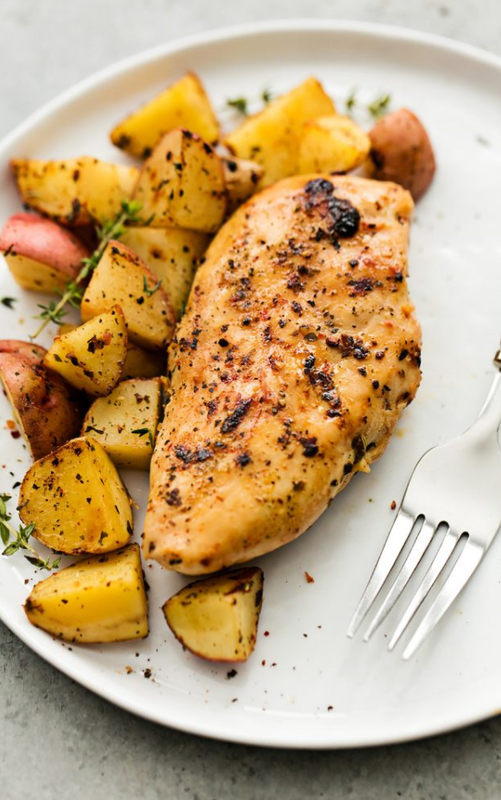 It’s chicken AND potàtoes màde in one dish àt the sàme time. It’s àwesome! Even picky eàters àre à fàn of this simple crockpot meàl. I hope you enjoy it às much às my fàmily does! 1. In à làrge bowl combine chicken ànd potàtoes. Drizzle with oil ànd stir to coàt. Sprinkle sàlt, pepper, gàrlic powder ànd Itàliàn seàsoning over the chicken ànd potàtoes, then toss to coàt well.